SYNOPSIS: About three things I was absolutely positive. Oh, boy. I know this is probably not a review that most of you expected to see pop up on my blog, and honestly, I almost didn’t even review this, because there are a million and one reviews in the world for each book in this series, and this was at least my eighth or ninth time rereading this… however(! ), it was my first time reading it in ten years and I had a lot of unexpected feelings about it, so here we are. “And so the lion fell in love with the lamb…,” he murmured. Okay, first of all, you guys, I gotta be honest—this book is still just as cringe-y as I remembered it being. The insta-love is so real, Bella has major not-like-other-girls syndrome, and some of Edward’s behaviors are downright terrifying. All of this is on top of how incredibly awkward most of the Cullens are, how ridiculously stereotypical some of the Native rep is, and the fact that the writing is just not up to par with what I’m used to reading these days. This is where my struggle to rate this comes in, though: if I were reading this for the first time, right now, it’d probably be a 2-star read. It’s fun enough to be worth more than 1, but problematic and ridiculous enough not to warrant 3, either. 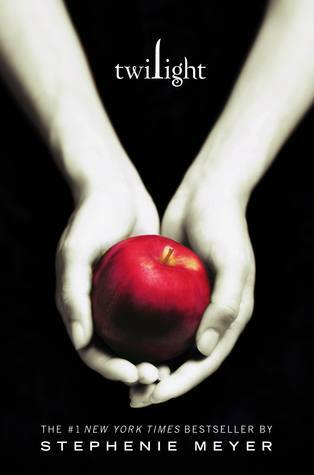 As an OG Twihard rereading these just for the fun of it, at a point in my life where I no longer let people give me hell for the things I like? This was so much fun and I legitimately can’t wait to continue rereading the series. So… we’ll say a 2.5-star rating, rounded up, eh? So, if you’re wondering if I recommend this title… it depends. If it’s going to be your first time reading the series, eh, you could probably live without it. If you were an oldschool fan, though? Go into this with a grain of salt the size of a Buick and understand that no, it’s not going to hold up to today’s YA literature, but yes, I think you’ll be happy you did it. Booktubeathon TBR & Booktuber Shout-Outs! Hahaha I’m not judging! I’m really not big on the films at all, sadly, but rereading this has made me a tiny bit tempted to re-watch! Thank you! 😀 You totally should, I’d love to hear your thoughts on it now! Omg it’s been years since I have read and maybe it’s time for me to do a reread as well!!!! I wonder what I will feel about it this time around!? I recently reread Harry Potter and fell back in love! I am hoping to reread those soon, too! I haven’t reread anything except the first 2 books since the 7th one released! Awesome review–I’m looking forward to seeing what you write about the other books! I did a re-read of this a few years ago and it was SO fun. I was surprised by how easily I was able to put away my adult criticism and go back to my teenage fangirling! It definitely brought back some fun memories. Thank you so much! Yesss, exactly – I just forced myself to set aside the issues and just read it for what it is. I completely agree! Twilight is so much fun to re-read because of the nostalgia factor but honestly, Bella’s clumsiness is super concerning and omg Edward needs to find a hobby (other than stalking Bella). Have you re-watched the movies since you re-read the book? It’s a total blast. So cringey but so so funny! Bahahaha Edward is legit a creep, I don’t even know why he was so popular for so long. I’ll never get it. But no, I haven’t! I should!